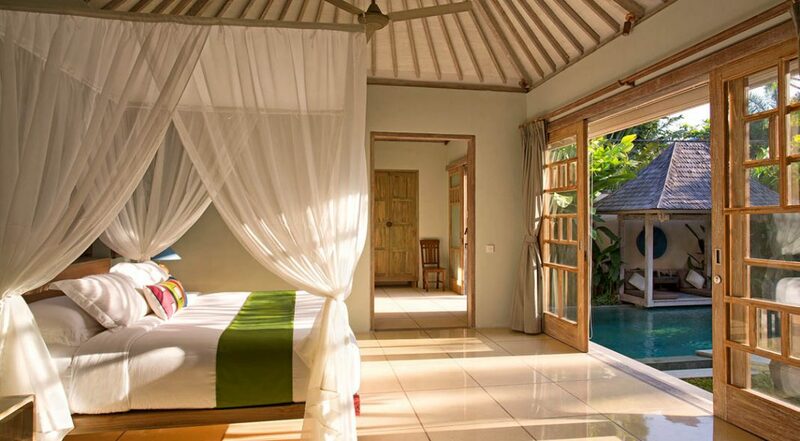 From $ 950AUD per night We have direct contracts with most villa owners. We don't add any booking fees. We are 100% transparent with no nasty surprises. 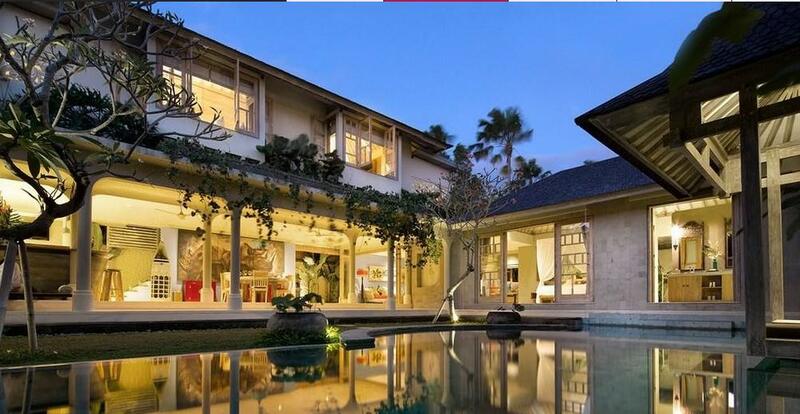 Top Seminyak location with full-time staff & chef - rent this now! 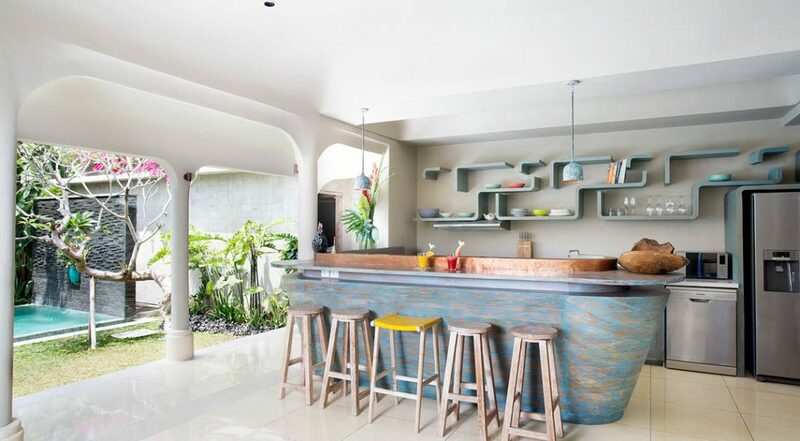 Villa Sky Li is a fantastic 3 bedroom Seminyak holiday villa rental that is strategically located close to some of Seminyak’s best eating places and just a short stroll to the beach. 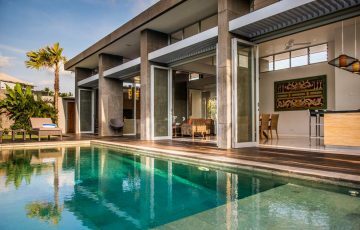 Built over two stories, the villa features modern living with traditional design features, large sliding doors provide breathtaking views of the walled garden and private pool. The kids will love the private lounge great media facilities. 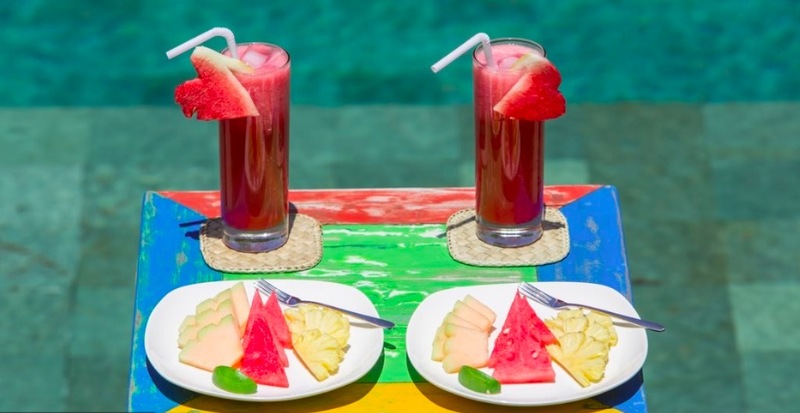 And the villas masterful chef is well trained at preparing delicious snacks especially for kids. The staff can arrange in-house spa treatments on request and babysitters if required anytime. 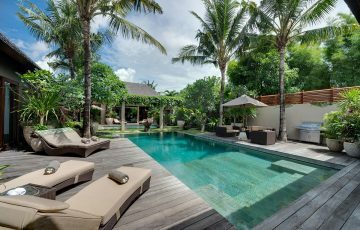 At Villa Sky Li the outdoor area houses a large 12-metre swimming pool where you can splash around and swim the kids, a shallow half moon section ideal to enjoy a drink as you stay wet. Swim to the other side and lay under the shade of the bale on soft cushions and toll the gong for service from your private butlers. The pool is surrounded by a high wall for privacy, a manicured lawn, frangipanis and vibrant bougainvilleas. The open plan living area looks directly onto the pool, a custom built white wash circular timber dining table features a lazy susan and seats 6 comfortably. At one end of the space a media room with bi-folding doors can be closed to enjoy air-conditioned comfort where a large wall mounted flat-screen and a vibrant red L-shaped sofa make this a comfortable place to relax. The kitchens island bench is fashioned from recycled boat wood and is fully equipped to cater to all your needs. The spacious bedroom suites are bright and vibrant in décor; natural light filters in from the pool through large sliding doors. Beds feature pristine white linens and sheer mosquito netting gives a romantic air. 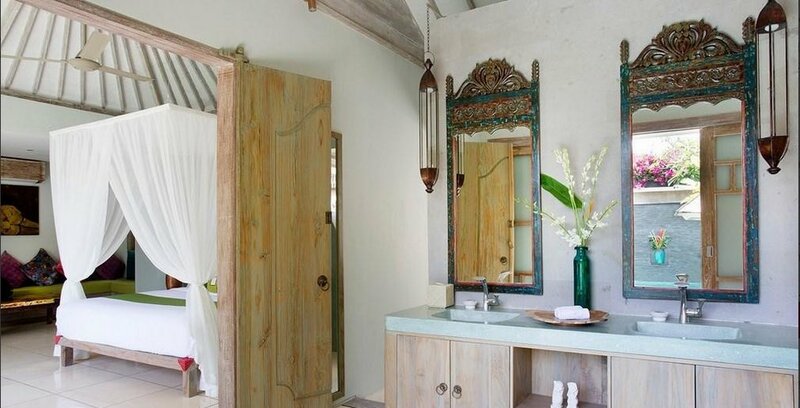 All rooms feature kingsize beds with private en-suites boasting twin vanities, soaking tubs and rain showers. Flat-screens, iPod docks and DVD players will keep you entertained. 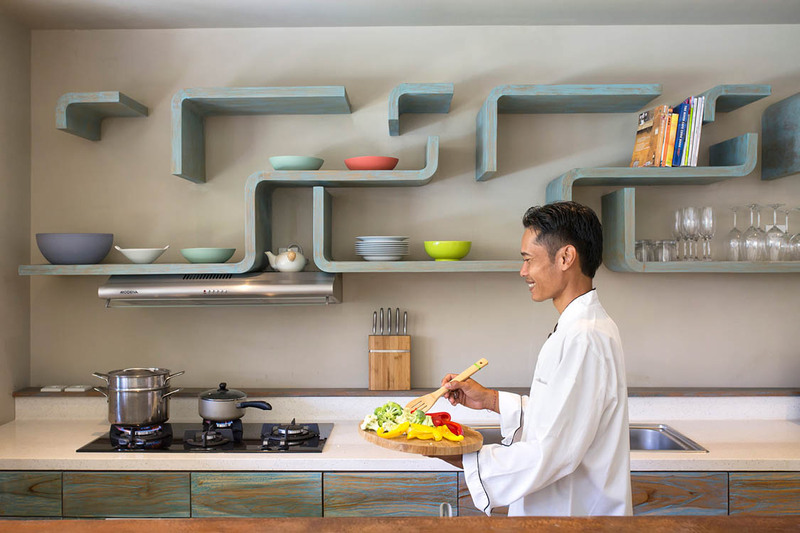 The warm and diligent staff at Villa Sky Li consists of the villa manager who oversees your private butlers, chefs and cooks and the housekeepers who will clean the villa each day without interrupting your schedule. Should you wish the staff to prepare and serve dinners and lunches an extra charge will apply. Strategically located along Jalan Kayu Jati where you will find such popular eateries as Grocer & Grind, Hotel Mexicola and just around the corner Sisterfields and Seminyak Village. Take a 10 minute stroll and you will be on the sands at Seminyak Beach where you will be just a stone’s throw from both Ku de ta and Potato Head Beach Clubs. To view other Seminyak villas in a top Eat Street location or more Bali villas please browse this website or contact our reservation team. 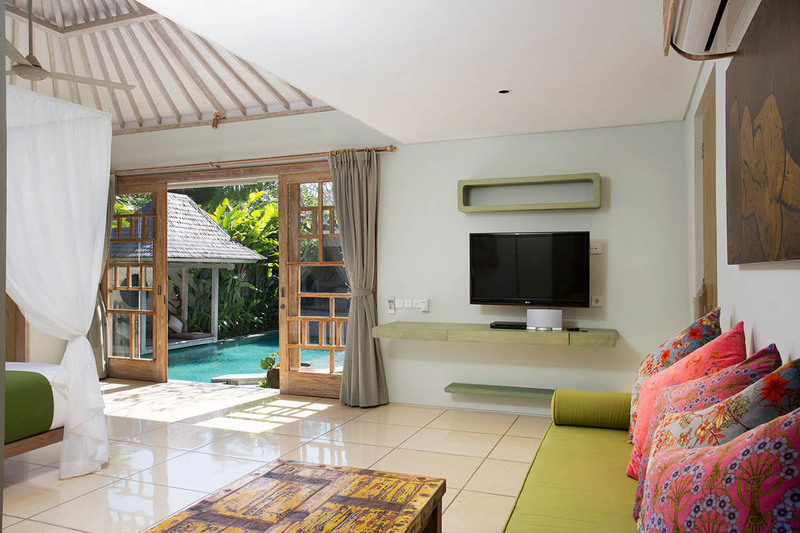 This is a popular Seminyak villa so please book Villa Sky Li in advance if your planning a trip to Bali, especially during the Australian school or public holidays. Sleeps 6 people (2 bedrooms with king-size beds; 1 with twin beds convertible to a king). Up to 2 extra beds available on request charged per night for adults, and children. 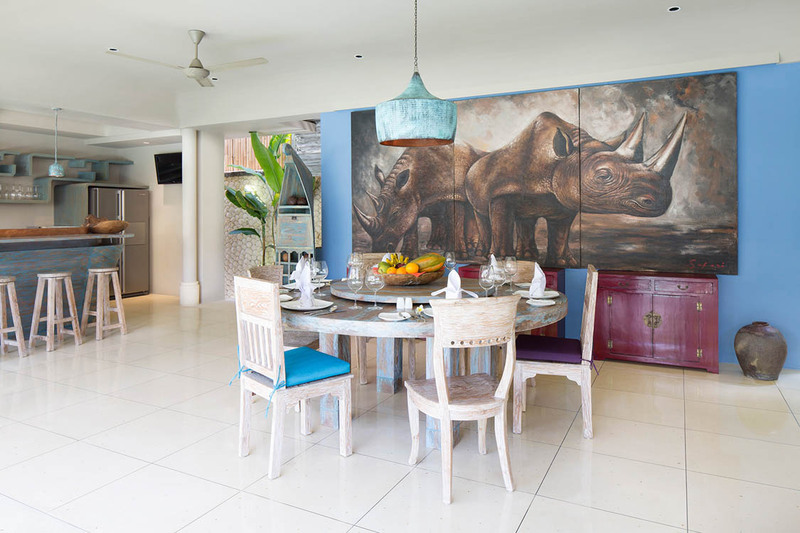 We found Villa Sky Li to be absolutely perfect for our 1 weeks family holiday over the Easter period. There was enough room and space to have some real privacy and the pool area was where we spent most of our time relaxing and enjoying the wonderful weather. Overall the staff and villa facilities were perfect and the location made it even better ( literally 5 minutes to the restaurants and shops) - loved it!! 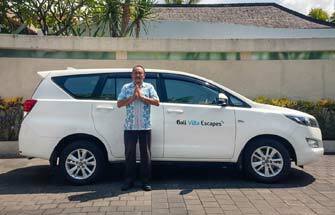 A great villa and well worth the money - this is out third trip to Bali and we were always staying in hotels around Seminyak and Legian - this was our first villa experience and all we can say is WOW!! Staff, rooms and pool area were lovely and made our holiday special. Thanks to Yayuk, and Mark at BVE for sorting this out for us and organising the airport transfers. We spent 8 days here with the family and loved the location and the very friendly staff. This was our first villa experience and we must say how wonderful it was. Everything was clean, comfortable and the location near the restaurants and shops made it easy for us. Being close to 'Eat St' was a real bonus and we will definitely be coming back. Really relaxing 10 days here. Quality finishes with really amicable staff. Well worth it if your wanting a lovely villa where you can get away from it all yet be close to so many great things. 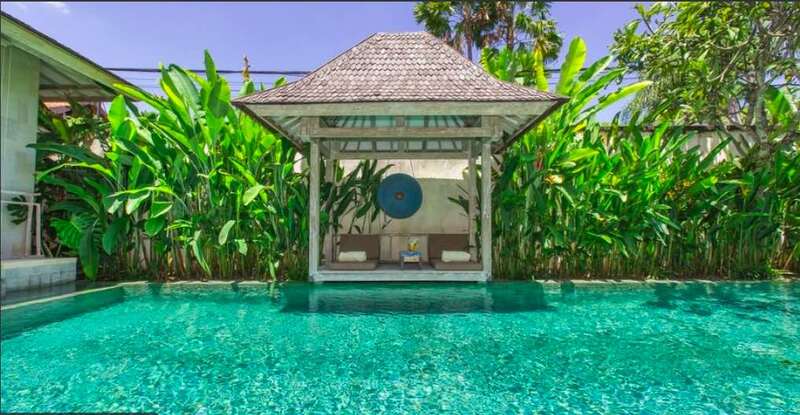 From the moment you enter the fabulous Villa Sky Li, you know you’re in for a great holiday and we definitely got it - what a great location as well. So happy we ended up staying here. to all the staff at Sky Li you were AMAZING!! We will definitely be coming back. Thanks for such a great holiday.